Help, these jellies need to be rescued! 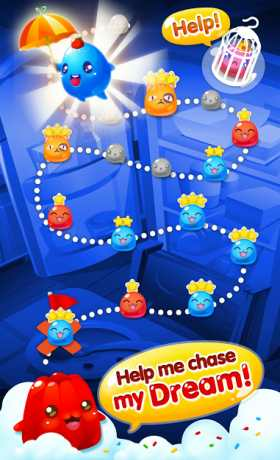 Only YOU can save them and get them on the road to adventure in JELLY MANIA! Match jellies together to save them – Jelly Mania is a match-three game with tons of gameplay twists. Match four or five or more jellies for awesome jelly-rescuing power-ups! You’ll come across a variety of new game modes on your travels – it’s time to show off your jelly-saving skills! – Hundreds of levels of adorable jelly-matching action! 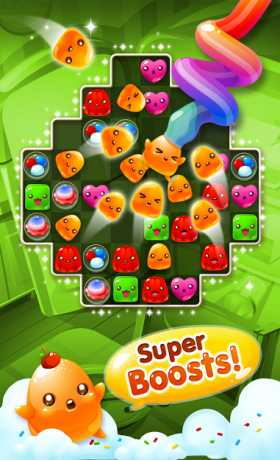 – Super-boosts to help free those jellies from a tight spot! 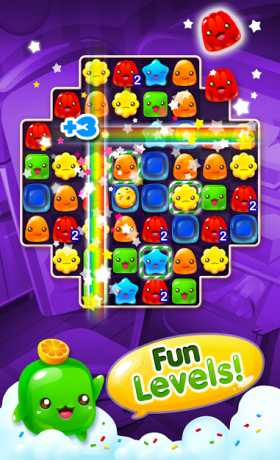 – All kinds of bright and colorful jellies will give you a fun-packed match-three experience! – Leaderboards for each level show you who’s the best! – Sync your game progress with the Facebook version of Jelly Mania for non-stop jelly fun! – Send and receive lives from your friends! – See how your Facebook friends are progressing on the map – don’t let them get past you! Now… let’s free some jellies!